Less than a week after the federal government's URL blacklist was leaked and caused a furore over the status of online betting company Betfair, Australia's poker industry is now in the firing line over the number of legitimate poker sites that could be banned by the filter. The Interactive Gambling Act 2001 makes it an offence to provide, or advertise, certain interactive gambling services and online poker is no exception, but that hasn't stopped thousands of Australians for participating in a game of Texas Hold'em over the Web on .com poker sites. ACMA is responsible for investigating formal complaints made under the Act in relation to prohibited Internet gambling content and is now prepared to filter poker URLs as well. 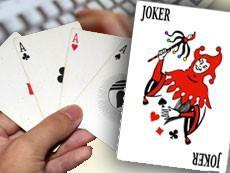 A representative of a local, in-person poker tournament company who requested to remain anonymous said ACMA's decision to include online poker sites in the blacklist may well be justified if they are operating illegally from the government's perspective, but there are “better ways of doing it than banning URLs”. “All they need to do it to prosecute one person,” the spokesperson said. Many Web sites of local in-person poker tournament operators openly promote and link to international online poker sites, apparently in flagrant disregard of the Internet Gambling Act. Poker sites on ACMA's blacklist include big names like partypoker.com, fulltiltpoker.com, 888.com, pokerroom.com, pokerstars.com, and mansion.com. It may be illegal to run or promote an Internet gambling business in Australia, but that hasn't stopped thousands of Aussies joining the online poker scene – with real money to boot. “As many as 400,000 Aussies are playing poker on the Web,” the spokesperson said, adding the amount gambled could be $US1000 per person every year. Furthermore, in a case of what might be seen as the government going too far with filtering, even poker news site pokernews.com was on the blacklist. So the local legitimate poker industry wants the government to take action, not filter the Internet. What's the advice for in-person and online poker players? The spokesperson said while many tournaments and operators are not doing anything illegal, many are “looking for a back door into online poker so stick with a reputable company”. “I'm p...sed off at guys doing it illegally,” the spokesperson said.